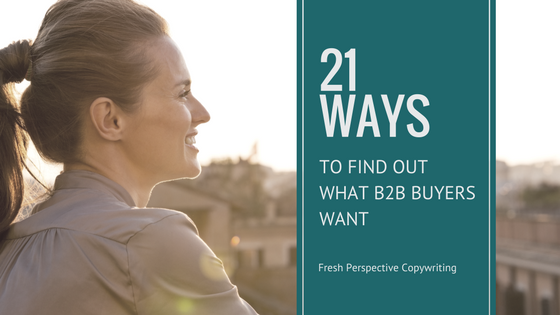 It’s challenging to create content that motivates B2B buyers to respond. Here are 21 ways to get to know your customers, so you can create content that engages them and brings you results. As a B2B marketer, you know that good content boosts customer engagement and increases sales. In fact, more than 85% of top-performing marketers make content an integral part of their marketing strategy. But creating engaging content isn’t always easy. One of the biggest content marketing challenges is relevancy. If B2B buyers don’t relate to your content, they won’t read it. That’s why you need a clear understanding of your audience, their pain points, and their goals. The more you know about your customers, the more likely they will view your content and respond to your offers. 1. Read your case studies. You can learn a lot about your customers when you read their stories. For example, you’ll learn about their challenges and the goals that they wanted to achieve before they started working with you. You can also gain insights into your customers’ buying processes and why they chose you over your competitors. This knowledge can help you create content that speaks to your customers’ needs, so you stand out from the pack. If you don’t collect case studies on a regular basis, you’re missing out on a goldmine of insights that can help you get more value from all of your content investments. 2. Review your competitors’ case studies. Do you want to find out why B2B buyers chose your competitors over you? Check out your competitors’ case studies. Researching how competitors engage their customers will help you better understand how to engage your own. If you are in the technology space, you can find your competitors’ case studies on Featured Customers.com. Or you can visit each competitor’s website separately to review their case studies and testimonials. 3. Subscribe to publications that B2B buyers read. Most industries have trade journals and professional magazines that address your customers’ top issues. Mining these publications will give you ideas for topics that resonate with your target audience. Check out your industry association’s website to see if they have a blog or print publication. You can also find lists of industry publications at your local library or on Webwire. 4. Check out Amazon book reviews. If you’re in the B2B space, you might not think of engaging with your customers on Amazon. But Amazon’s book reviews can give you a wealth of information about your audience. Find books that your target audience is reading and check out what they say in the reviews. Doing this will help you learn their thoughts on the subject matter. Reviews can also give you insights into your customers’ problems and the types of solutions that they want. 5. Sign up for Buzzsumo. Using Buzzsumo is particularly helpful when you need ideas for blog post topics and headlines that will boost your shares. 6. Enter your keywords in Answer The Public. You can use these results to find out what your customers search for in Google. Then, you can create content that answers their questions and improves your SEO. 7. Use SEMRush for competitive research. SemRush is a great tool for researching your competitors. Enter their domain, and you’ll see what keywords they rank for and who links back to their site. When you use the page report, you’ll see what content performs the best on their site. Then, you can create something even better for your own site. 8. Show your professional side on Facebook. If you use your Facebook profile professionally, you can connect with trusted customers and interact with them in an informal setting. Join the same groups that B2B buyers are active in. Follow their discussions and see what types of content they share. If you post on a company page, use Facebook Insights to see data on your views, likes, and shares. This data will show you what works and what doesn’t work, so you can improve your content in the future. 9. Stay up-to-date on Twitter. Connect with members of your target audience on Twitter and pay attention to their tweets. Be sure to segment your customers into lists, so you can keep up with their activity. LinkedIn is the top social network for business professionals. If you’re in B2B, most of your social media efforts should focus on LinkedIn. Your sales team may also want to consider a Sales Navigator subscription, as a paid plan makes it easier for reps to find and connect with potential customers. 11. Register for conferences that B2B buyers attend. Attending a conference is a great way to get out of your office, learn what’s happening in your industry, and network with prospects. Find out what the most popular sessions are and try to get a seat. Also be sure to stay through the Q&A, as you’ll learn what questions your customers are asking. Then, you can answer these questions later in your own content. Industry associations are great places to interact with your target audience. These groups have forums, social communities, and publications where your customers and peers discuss their top issues. They may even have live events, where you can meet potential customers in person. 13. Use Google Keyword Planner. Google Keywords Planner allows you to enter keywords and find out which ones have the highest search volume. You can use the tool to get a general idea of what your customers search for. UberSuggest is a tool that allows you to quickly find keywords that aren’t available in Google’s Keyword Planner. It shows you search volume, seasonal trends, and cost-per-click data. 15. Find your customers’ questions on BloomBerry. BloomBerry shows you the top questions that people ask online. It mines popular sites, such as Quora and Reddit, so you won’t need to look at them individually to find out what questions your customers are asking. 16. Speak with your sales team. Having an open dialogue with your sales team is essential if you want to learn more about your customers. 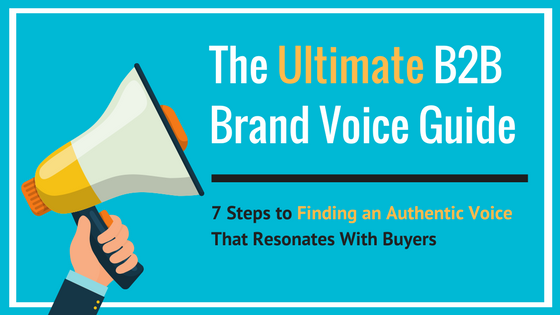 Your reps can tell you what buyers are asking and what they think about your product. This information will help you address customer concerns in your marketing materials. 17. Survey and segment your customers. Surveys can provide you with valuable data about your prospects and customers. But it’s hard to get someone to complete a survey. If your surveys fall flat, start by asking your audience to answer a single question. For example, when someone joins your list, send them an email that asks them to segment themselves. To send you the best and most relevant content, we need to know a little more about you. Please click the option that best describes you. I’m a CIO who wants to lead my company’s digital transformation. I am an IT security pro who wants to better protect my company’s data. I’m a network engineer who wants to improve our network’s performance. Segmenting your audience is critical for improving your open and response rates. Webinars allow you to get face time with your customers. Make your webinars as interactive as possible, so you can chat with customers and answer their questions. 19. Check your Google analytics. When you review your Google Analytics, you can see which keywords people use to find your web pages. You can also learn which pages get the most views. However, a large number of views doesn’t necessarily translate into an engaged audience. Also look at how much time people spend on each page. You may need to use other analytics tools to determine how your audience interacts with your content. For example, what are your opt-in rates for your premium content? 20. Read your blog comments. Your blog can give you insights into your target audience. Which posts get the most shares and comments? What questions do people ask in the comments section? Should you answer any of these questions in future blog posts? 21. Review your customer personas. Are your customer personas up-to-date? If not, you may need to research your buyers and revise your personas. Make sure that everyone on your content team has copies of your personas, so they can refer to them when they create content for you. This list covers just a fraction of the places where you can connect with customers. The more you interact with customers, the more you can tailor your content to meet their needs. Ultimately, this will lead to increased sales and revenue. What will you do to engage with more customers?